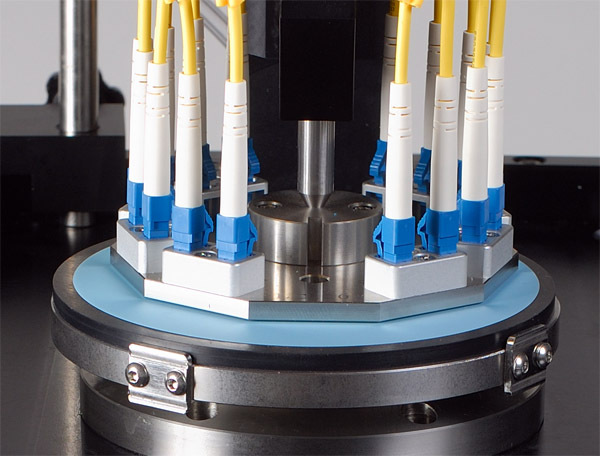 ULTRA TEC is proud to introduce a new mass-production connector polisher. FIBERTEC can polish between 10 and 24 connectors at a time. Drawing on ULTRA TEC's unique legacy and in-depth knowledge of the fiber polishing process, the new FIBERTEC offers market-leading features that make polishing simple and productive for the operator. 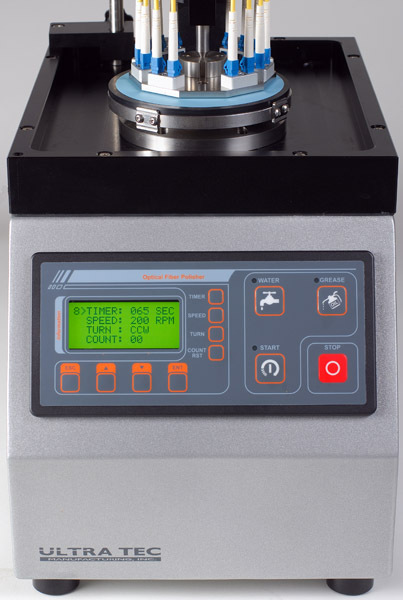 The system's LCD screen makes process control and great connector polishing results easier than ever to achieve. 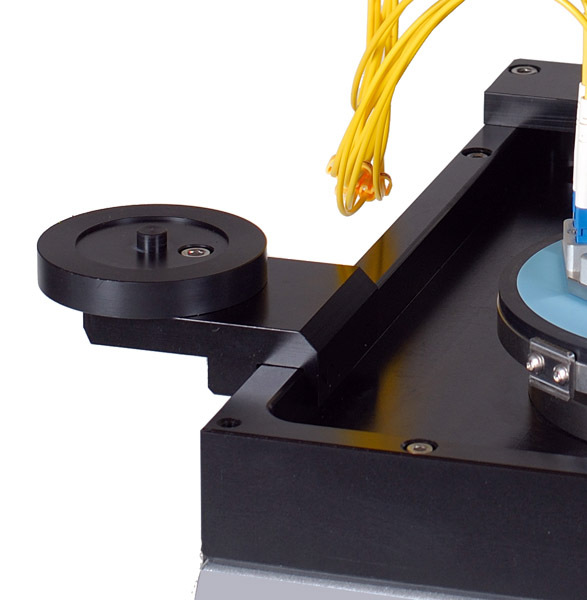 Pressure and platen speed are controlled for ultimate consistency and performance. A complete FIBERTEC system with one connector holding plate is less than US $15,000. We offer holders for all fiber connector types -- 2.5mm and 1.25mm ferrules -- PC and APC. If you don’t see something you need, please ask us. Our engineering and application teams are here for you! Holders are available for all connector types. FIBERTEC Polisher (110V version) -- Includes advanced programmable fiber connector polishing system with 5 resilient polishing platens. 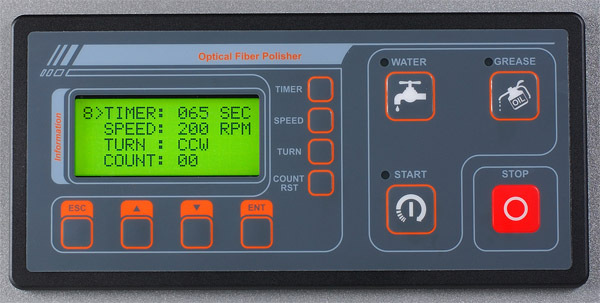 9812.2 FIBERTEC Polisher (220-240V version) -- Includes advanced programmable fiber connector polishing system with 5 resilient polishing platens.